Redshirt junior Ben Cilano pitched a career-high 5.0 innings, leading the Braves to a 3-1 win. Photo via Bradley Athletics. 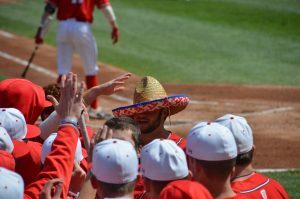 Despite strong crosswinds and cold temperatures on Wednesday, Bradley baseball (19-10, 0-3) beat Big 10 opponent Iowa 3-1. It was payback time for Bradley after losing to the Hawkeyes 4-2 on March 26, giving up four runs in the bottom of the eighth inning. 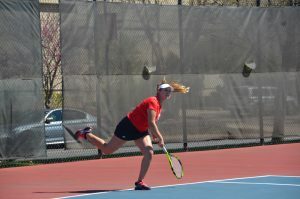 After winning the previous six games by a combined score of 67-10, Bradley grinded out the win and outhit the Hawkeyes, 7-4. The Braves scored their first run in the fifth inning on a safety squeeze by senior infielder Christian Dominguez. He had two RBIs in the game. Bradley pitching staff’s lone run was unearned and came in the seventh inning. Iowa tried to take a page out of Dominguez’s playbook by bunting twice, one of which resulted in the run scoring throwing error. Getting runners on second or third base was key for Bradley as two runs came on fielder’s choices and one on a line drive single to right center field. On the other side of the ball, sophomore catcher Keaton Rice thought Bradley’s pitchers did what they were expected. It was an eventful night for Rice who had two hits, scored twice and drove a run in. Scully was suspended for the Iowa game after getting tossed during the Western Illinois game on Tuesday. He was ejected for arguing Western Illinois called too many timeouts at the plate, frustrating Bradley pitchers. Going off the scouting report worked for Rice and the rest of the pitchers who sport a 2.09 ERA. Redshirt junior Ben Cilano threw a career-high five innings to start, striking out four, walking none and only surrendering two hits. In the seventh inning, after junior D.J. DePiero walked the first batter and fell behind the second batter, redshirt senior Allan Beer entered the game with the 2-0 count and struck out three in nearly two innings. After earning his first Bradley save at Western Illinois the night before, junior Theo Denlinger entered with two runners on base and two outs in the eighth. The first batter he faced he struck out looking. 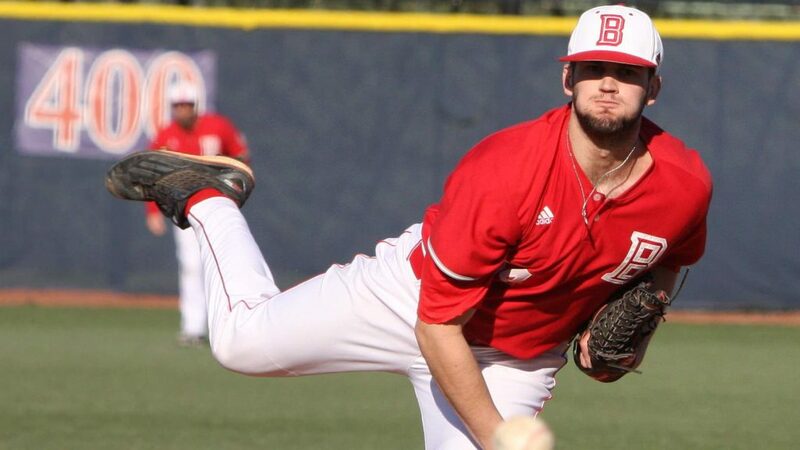 With two outs in the eighth, Denlinger came in and closed out the win for Bradley. Cilano said he was thankful for the opportunity to pitch against his first Big 10 program since 2016. He threw 63 pitches versus Iowa and 18 at Northwestern. It wasn’t just the defense of his position players though. Cilano caught a sinking line drive in the fourth and fielded a ball the next play later to finish the frame. Dominguez said he looked to give Cilano 50 to 60 pitches to save the bullpen’s energy. Bradley hosts Southern Illinois (17-12, 1-2) for a three-game series this weekend beginning at 6 p.m. tonight at Dozer. The Braves will look to win their first Missouri Valley Conference game.